A/Prof. 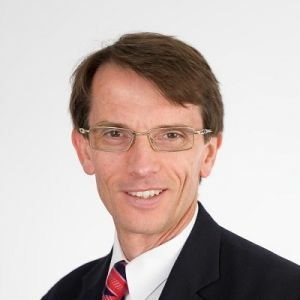 Andrew Cochrane is a cardiac surgeon with over 20 years of consultant experience in both adult and paediatric cardiac surgery, He undertook advanced training at the Royal Melbourne Hospital, Alfred Hospital and Royal Children’s Hospital and also trained in the United Kingdom. A/Prof. Cochrane was a consultant cardiac surgeon at the Royal Children’s Hospital, Melbourne from 1995 until 2008 and has been a surgeon at Monash Medical Centre, Clayton since 2003. While at Monash Medical Centre, A/Prof. Cochrane developed the adolescent and adult congenital heart surgery program for patients who require either initial or ongoing surgery of heart defects present since birth. He enjoys managing all aspects of adult cardiac and thoracic surgical care. A/Prof. Cochrane has been a surgeon in over 20 charitable teams to the Pacific, Timor-Leste and Asia, He also operates on patients brought to Melbourne through Rotary and the Children First Foundation. A/Prof. Cochrane has an appointment at Monash University, and is involved in research activities at Monash University and surgical teaching for the Royal Australasian College of Surgeons.